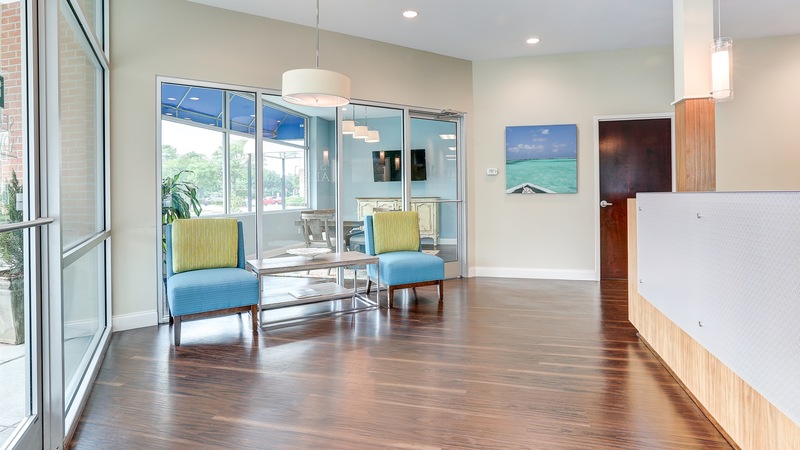 The space was tailored to the realtors’ needs with a bright and welcoming feel. 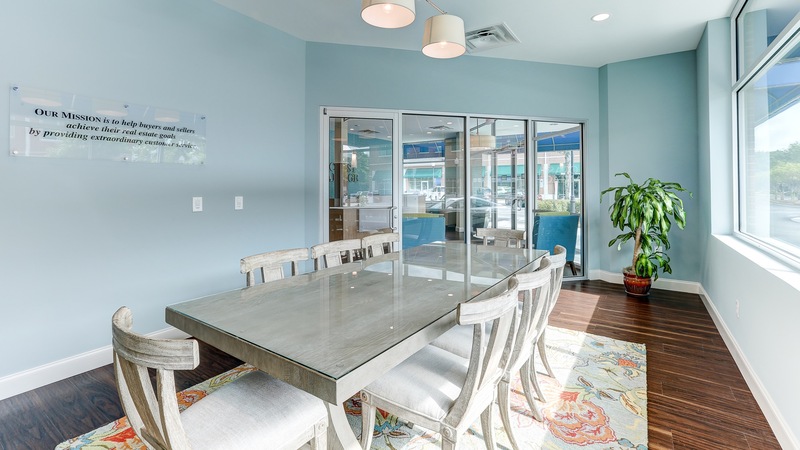 Some of the realtors were able to be involved in the space planning to ensure they and their assistants had adequate desk and storage space. 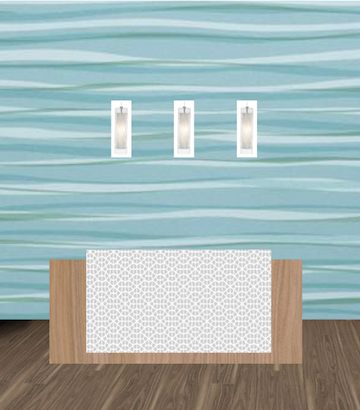 Along with the client, we wanted to incorporate a classy, coastal scheme in a fresh new space. 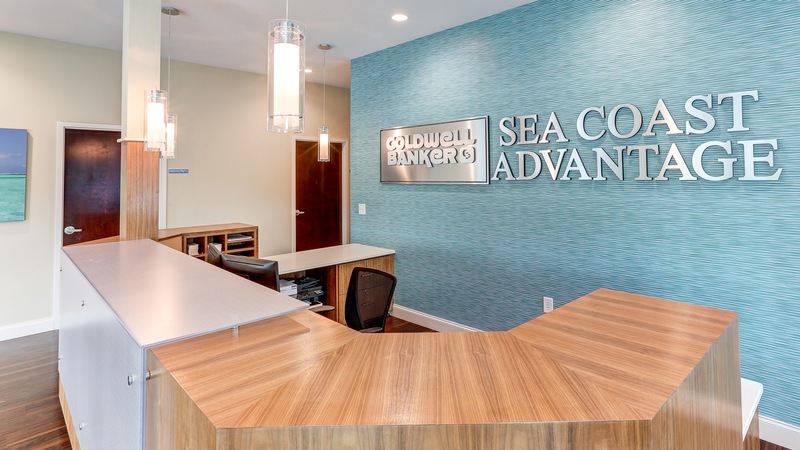 We provided a large front reception desk that set the tone for our simple furniture lines and accented with decorative lighting and bright wallcovering. 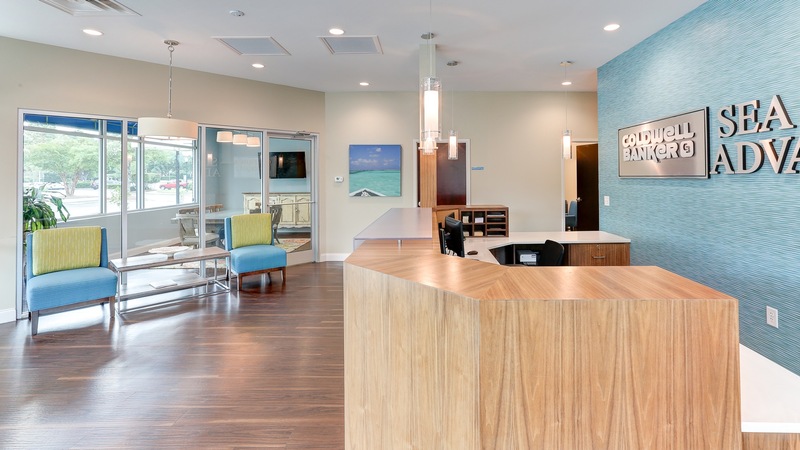 The wood tone combined with glass and blue accents reinforced the coastal style. 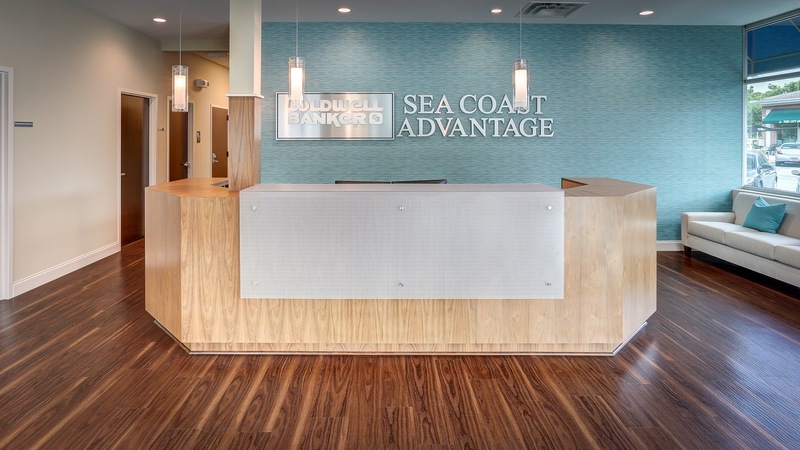 The wood tone combined with glass and blue accents reinforced the coastal style.